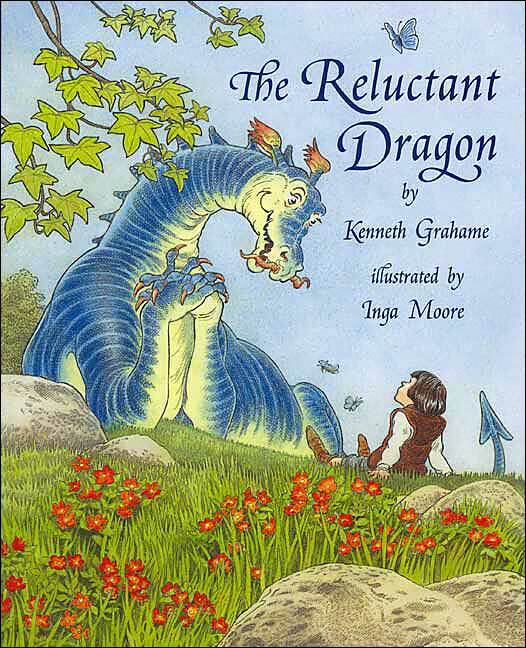 As you might have guessed from the title of this post, we have read a passage from the story “The Reluctant Dragon” by Kenneth Grahame. I explained to kids that the story was written long time ago and some of the vocabulary are difficult to understand. But, they should be reading more stories like this as it trains their brain to automatically pick up the language, style, vocabulary and everything. We did work on the concept of time and how we measure time: seconds, minutes, hours, days, months, year. And 60 seconds=1minute; 60 minutes=1 hour 24 hours=1 day; 30/31 days= 1 month; 12 months=1 year. We did word problems like this to understand how it is an important life skill to have to be able to work out the solutions. We watched a few power point presentations on the topic. I found this unit study made by homeschool den is so useful, mashaAllah. It is full of practical activities and free worksheets. We did some of the activities here and found out how human beings use mineral for almost everything. We will be exploring Minerals in more detail next term inshaAllah. We had Junk Modelling session this Friday. I asked them to watch a couple of videos on youtube to get an idea and decide as a team what to make. That didn’t go very well. Everybody seems to have an opinion and they couldn’t agree on what to make. Alhamdulillah, I had to intervene and get them all work together. InshaAllah, more team-building activities coming up!!! Alhamdulillah, we are nearly halfway through the programme now as we finished 5th week. We have 1 more week of studies and preparing for SATs exams in the following weeks. We just go through the SATS papers here inshaAllah. Older group did shapes, fractions and addition and subtraction word problems. They wouldn’t get the word problems straight away, I always have to explain a bit further. So, inshaAllah, more practice in that next week as well. We read short stories from Aesop’s Fables. I told them about Aesop, a slave who lived in Greece a long time ago. He wrote stories known as fables. He used animals to describe people in his stories and all the stories have a “morale” or a lesson to teach. Some of the girls already knew about him as they studied his fables at school. So, they first read the stories and identified proper and common nouns in a story. Then we looked at pronouns and how they are used to replace nouns (so we don’t keep repeating nouns throughout the story). Then they did copywork for handwriting and answered the questions for reading comprehension. I explained to them to answer in full sentences and reviewed that a sentence starts with a capital letter, ends with full stop and has one complete idea/event/opinion etc. 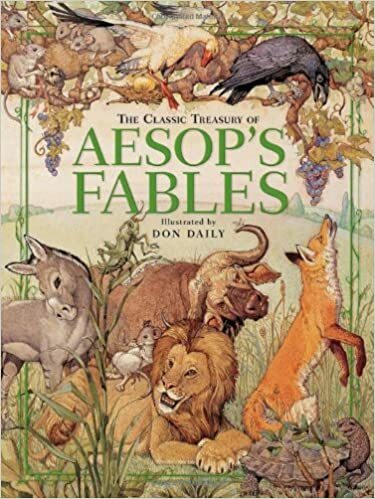 Aesop’s Fables is a great book to have at home. All the stories are short, easy to read and easy to understand. It is especially great for young readers, kids between the ages of 6-8. All the stories are easy to narrate back and you can have a wonderful follow-up discussion. So, we read the story called “The Dog and His Reflection” and discussed how greed is not a good thing to have in you. But rather, if we are content and grateful for what we have, Allah increases the barakah and gives us more. They read the following two hadith and discussed in groups. Ibn ‘Abbas and Anas bin Malik RA reported: Messenger of Allah (sallallaahu alayhi wa sallam) said, “If a son of Adam were to own a valley full of gold, he would desire to have two. Nothing can fill his mouth except the earth (of the grave). Allah forgives those who repent”. We learned about Materials and how people use different Materials in their daily lives, alhamdulillah. Alhamdulillah, Science is always practical and the girls are so productive. They understand most concepts straight away. The lessons just increases their awareness of the things around them. These lessons are here to encourage them to notice and observe things in nature and in everyday life. We went to the park. AGAIN!!! They had races, went on the swings, took turns to ride bikes and walked around the park. Alhamdulillah. This week we started with Math on Friday. We cover Oxford Primary (Countdown Maths series) in class and the girls complete two pages of MEPs at home each week. We did comprehension work first where we read a story and answered the questions in groups. Then I asked them to rewrite the story in their own words. We also listened to a story called The Lion and the Goat on Oxford Owl and did the activities there. One of the ESL tendency I noticed in some of the girls is that, when they read they encounter some words they don’t understand. And they can’t go pass beyond the word unless they are absolutely sure to know what it means. So I explained, even adults don’t know or understand all the words in a book when they read it. But the words surrounding the unknown word should help us to understand the meaning of it. I said to them ” When you read a story and there is always going to be a new word you are not so sure about. But it shouldn’t stop you from understanding the story. You can still understand and later work out the meaning of the word you don’t know”. So we did the following Context Clue Writing worksheet. Some of the girls just couldn’t grasp the concept of a Noun and a Collective Noun. I explained “Noun is a word that is a name of a place, person, thing or idea” and “pronoun is a word that can replace the noun”. And collective noun is a word that refers to a group of something. I gave examples, demonstrated how to spot nouns and pronouns in stories and how they are used. But a couple of them still struggled with the task here where they had to rewrite the sentences by changing the nouns to pronouns. We learned the following two topics this week. Alhamdulillah, they all enjoy Science and do all the activities with so much pleasure and passion. This week they designed their own Healthy Plate by choosing variety of food groups from Food Pyramid. They also discussed the types of houses, which kind of a house they wanted to own and wrote answers to some questions. Go over the worksheets and further explain what a noun, collective noun and a pronoun is. Alhamdulillah, another productive weekend has come and gone. Time is flying past, subhanAllah. This is the summary of what we did this weekend. And some problem solving activities where they had to work out the answer by themselves. And they continue with MEPs pages at home. Motivation- some girls are naturally sharp and clever in Maths. They understand all the concepts and are quick to work out the answers. Some are so demotivated, not necessarily because they don’t know the answers, but simply because of the lack of interest. They can do but they take ages to complete the activities and need a lot of push and reminders. Mental maths- overall they all need more practice with calculations “in their head”. Some can’t do anything unless they put the pen to paper and do all the sums on paper. InshaAllah, we will start with Maths next week as we have been leaving it to the end (as many prefer to start with Science and English) and we don’t seem to have enough time to complete everything planned. So, we will swap the order or lessons each week to add a bit of variety inshaAllah. We read a passage from The Railway Children by Edith Nesbit. I did guided reading with the younger group. The story was written over a hundred years ago, hence some vocabulary are hard to understand. So we read it together and had a group discussion. One of the girls brought the abridged version of the story so we had extended discussion and children really liked the story. I always encourage them to answer the questions orally before moving on to writing. It is always easier to write once they have the ideas ready in their minds. After the group discussion, they have to read the text independently and write their answers. Younger group can write short answers whilst older group have to write full sentences (elaborate their answers). Capitals are used at the beginning of each sentence and for proper nouns. Full stop is used at the end of a sentence. Comma is used when two sentences are joined together or when many similar items are listed in a sentence. We covered two topics in Science. On Friday we learnt about Animals. Muscles cover the bones and help us to move. Bones are hard and rigid whereas muscles are soft and elastic. Joint is a place where two bones connect. Some of our joints are elbow, wrist, knee, hips, shoulder and neck. Alhamdulillah, by the grace of Allah, we have started our weekend home-school programme in Riyadh. It was so nice to work with a bunch of girls over the weekend. We worked hard and played hard too! InshaAllah, I will be posting weekly updates on what we cover each weekend in Maths, English and Science. This programme was designed after consultation with parents to meet the needs of our girls some of whom have never been to school (full time homeschoolers) whilst others attend full time Arabic school (homeschooled to supplement English curriculum). So, each add a different dynamic to our learning environment, alhamdulillah. Then they each have a set of worksheets to do from MEPs. Each do their own work, we go over the answers together. Alhamdulillah, maths is pretty much straightforward. So we can do some group learning (mental maths and problem solving) and they can do their worksheets individually and at home. We are using Writing With Ease and First Language Lesson (both by the authors of ‘The Well-Trained Mind’). I love these books for a number of reasons. First, they use classical techniques such as dictation, narration and picture study to develop child’s language ability. Second, they use authentic texts and passages from classic children’s literature. Children work with Living Books and thus learn some concepts deductively (they internalize the style and vocabulary). Third, First Language Lesson is a complete grammar text whilst Writing With Ease is a complete writing programme. And they both compliment each other. If you ever want Charlotte Mason method of teaching language in action, these are the books that follow her ideas and techniques (narration, picture study, dictation, copywork and especially the use of authentic and genuine text- these are all originally her ideas). Reading comprehension: They read a passage from The Saturdays by Elizabeth Enright and answered questions both orally and in written. Introduction to poems: They read Bed in Summer by Robert Louis Stevenson and discussed the poem in groups. MashaAllah, they all knew so much about healthy eating. They were quick to tell me their experiences of healthy eating: one raises her own chickens and they lay fresh eggs for them daily, one tried to grow a watermelon and it is a creeper type of plant, one grows vegetables at home in pots, one grows herbs at home for cooking etc. Although they haven’t done any formal lessons, they already know a lot in Science, so the idea is just to encourage them to think more behind each action in everyday life. They will be moving to creating charts and database collection next week. We made smoothies and microwave cake in a mug. Massive JazakAllah khayr to a sister who kindly provided all the ingredients and her two daughters took the lead in the kitchen. They even explained to us why they would use almond flour and coconut flour as oppose to normal bleached flour (hint-hint-healthy eating choices). So our microwave mug cake went down so well with mango and strawberry smoothie. The Railway Children– you may want to tell your children about the book and the author-Edith Nesbit- as we will be reading a passage from it next week inshaAllah. Assalamu alaykum sisters. Are you based in Riyadh and looking for quality academic tuition at a more affordable price? Are you a mom who is looking for guidance and direction in your homeschool routine? Do you want your child to benefit from small group learning using innovative teaching methods such as problem solving, reasoning, logical thinking? Learn through investigative team work and research? If so, you can register your child at Raising Sahabas weekend programme. Focus : Academic, Maths, English and Science. CONTACT: email raising4sahabas@gmail.com for more information and to register. Please pass on to families who might benefit from this programme. I have long been wanting to write about schools in Riyadh. I found no useful information when I was researching about schools back in England. So, I hope the information provided here would be of use to a lot of people who are still deciding to whether or not to move to Riyadh or Saudi in general. First, like I said in my earlier post, there are plenty of international schools in Riyadh. These are English-medium schools following either British, American, Canadian, Australian or Indian curriculum. There are lots of international schools that follow Indian curriculum and run by Indians. I have heard some positives about these schools. But, average international schools, with the exception of British and American international schools, can’t afford to bring qualified teachers from overseas. So, because they mostly employ local people with fluent English proficiency but not necessarily trained to teach a group of children a certain subject, the standards are low. Also, the whole system puts so much emphasis on memorizing and not necessarily to research or project-based learning. So the education approaches and methods used are very different. Thus resulting in not encouraging innovative thinking or creative writing etc. Some schools have both International and Arabic section. For example, Manarat and Rowad, they have 2 sections. They run both English and Arabic private schools on the same premises and the tuition fees differ slightly with Arabic section being a little cheaper. Also, there are lots of private Arabic schools, called Ahliy schools. Most of these schools are administered and run by non-Saudis. For example, there are lots of private Arabic schools that follow Egyptian or Jordanian curriculum. Since we wanted to register our children at Arabic school, some friends recommended us the following schools. They have children currently attending these schools and they are really happy with progress etc. There are some day care services catered to western expat working couples. I have also observed most people arrange their own day care: leave your child with someone you know. A lot of the time, the information is passed by a word of mouth, someone at work recommends someone they know or have used before etc. I have come to know two British sisters who opened registered nursery/day care in their houses. You can’t arrange none of these unless you are in Riyadh. And you can’t arrange none of these online or with phone conversation. You have to visit every place/person in person and speak to them in person, fill out applications on site (no online version for anything). Registering your child at school in Riyadh. If your children have been homeschooled and therefore can’t provide a school report, a letter explaining your situation and stating the education law in England that says home-educating is legal etc. I have a template letter, so do contact me if you need one. If the Ministry of Education is happy with all the documentation, they will issue Approval Letter to state that any school can admit the children listed on the letter. So, you have to take this letter to a school of your choice and register them. One more thing, it may take a month or even longer to have all the documents ready. But schools don’t give any discount because your child missed X number of days in Term 1. As long as you register in Term 1, even if they attend 1-2 weeks of school before Term 1 ends, you still have to make the full tuition fees payment for that term. So, the best is do your research and have all the documents ready before your arrival ( for which you will have to follow my blog lol). Or in our case, school started in August. Our children missed 2 months of school. If we send them to school now, we still have to make the full payment for term 1 for three of them. So, the best is, to wait until term 2 (mid January) and register them then so we are not paying for the school days they have missed. Meanwhile, you can get a tutor that comes to teach them at home, or register them at Tahfeed at one of Dar’s (Arabic+Qur’an classes that run in most mosques or education centres etc). I hope this information will be of benefit to many more parents who like me spend hours searching the internet about schools and administering procedures in Saudi only to find nothing and left feeling frustrated. May Allah make things easier for all of us and allow us benefit from the system here and make the most of our stay. Amin ya Rabb.